I'm so lucky to be a part of so many little lives and feel privileged to watch them grow into amazing little people! I’m so lucky to be a part of so many little lives and feel privileged to watch them grow into amazing little people! 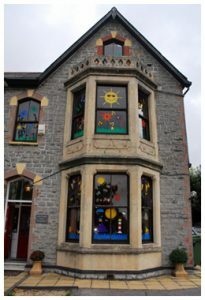 We are a 36 place family run nursery in Penarth, offering day care for children from 6 weeks to 5 years of age. We are open from 7.30am to 6.00pm, Monday to Friday. Orchard Nursery has been open since the 1st of October 1999, and during this time we have offered constant high quality childcare. We do not lead or follow, we simply ensure that learning is fun, and that the children enjoy each day they spend with us.